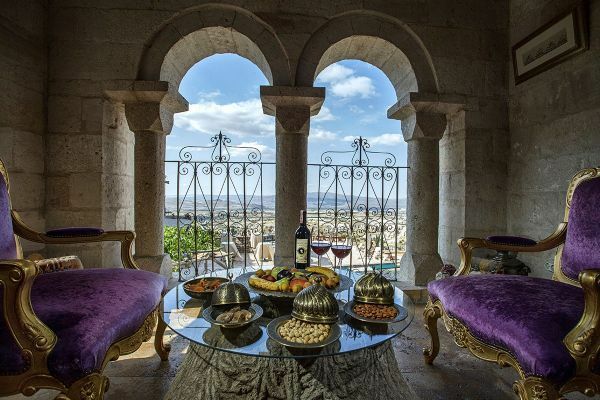 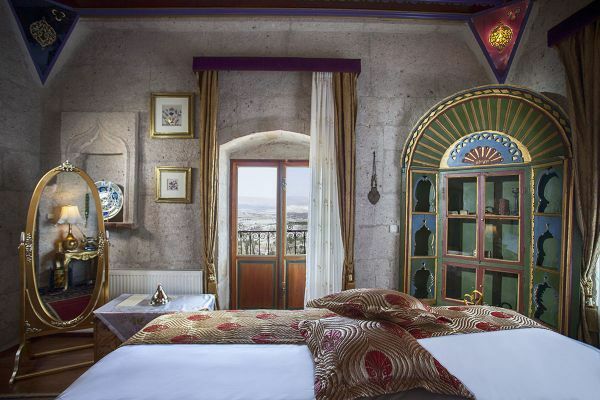 Eflatun Suite, a royal suite, has a living room decorated with Ottoman style divans, boasting a splendid view, and a bedroom decorated with great care. 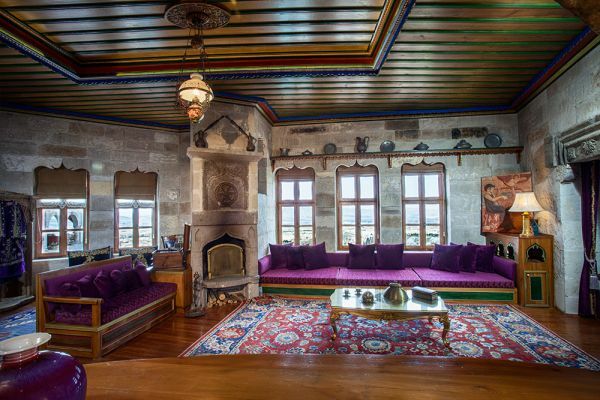 The dominant color in the room is eflatun (purple), giving the room its name. 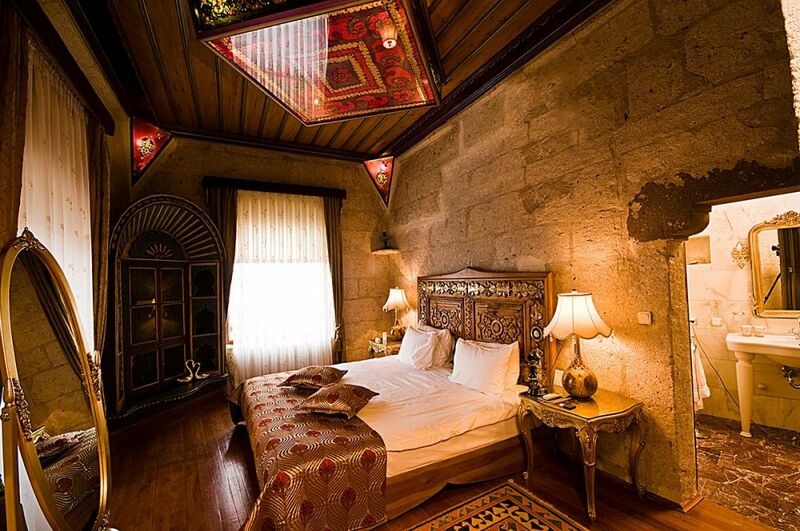 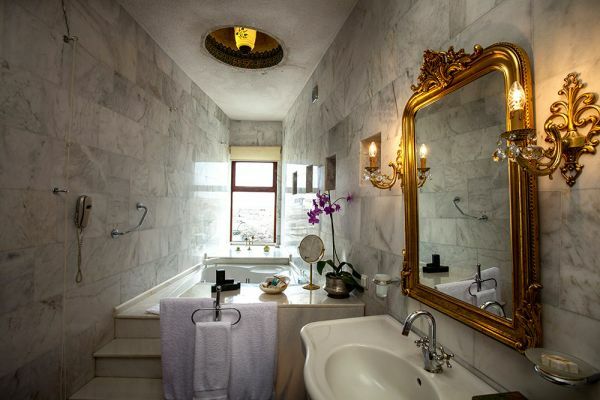 The whole room contains splendid décor with many priceless antiques, and has welcomed many celebrities.